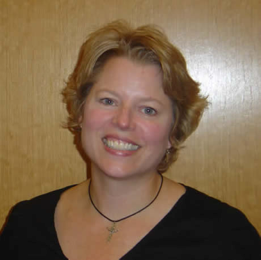 Martha Robert is the Director of Religious Education for St. Jude the Apostle Catholic Church in Sandy Springs. Martha received a Bachelor of Arts in Business Administration in 1986 from Southeastern Louisiana University and pursued a career in retail management that started as a co-manager with The Limited and ended as a district manager with Motherhood Maternity. In 2002, she left Motherhood Maternity to become the Director of Youth Ministry at St. Jude, where she was first introduced to PATH. Through her work as a youth minister, she worked with Mary Ann McNeil to provide guest speakers for the youth of the parish. One of the most memorable speakers Martha remembers was a young man who shared his story of pain and healing with the youth. Since becoming the DRE at St. Jude, Martha has completed the coursework for a Master of Arts in Theology through the Augustine Institute in Denver, CO, and anticipates being able to “walk” in the school’s next graduation ceremony. Reading is a favorite pastime, and she also enjoys traveling and the outdoors, especially camping and canoeing when time permits.